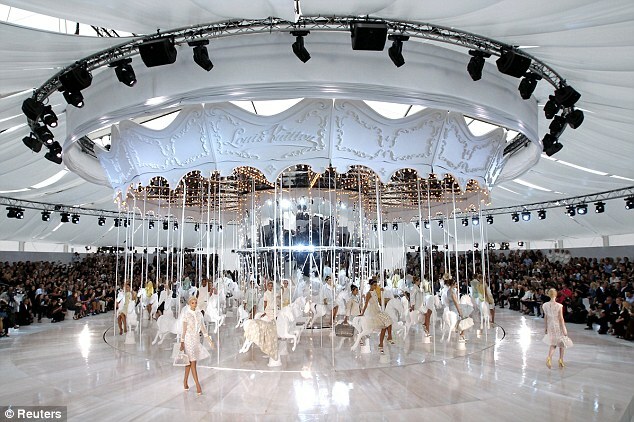 Lush Fab Glam Inspired Lifestyle For The Modern Woman: Louis Vuitton's Dreamy Spring 2012 Collection at Paris Fashion Week! 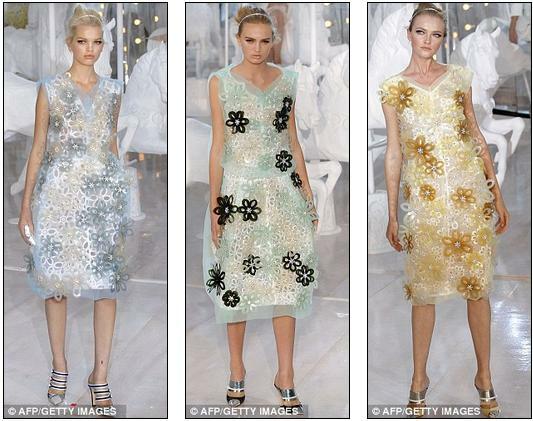 Louis Vuitton's Dreamy Spring 2012 Collection at Paris Fashion Week! ﻿Louis Vuitton's Dreamy Spring 2012 Collection at Paris Fashion Week! With Paris Fashion Week wrapping up designer Marc Jacobs pulled out all the stops today as he debut Louis Vuitton's Spring 2012 Collection. With a dreamy carousel themed runway concept, gorgeous handbags, metallic heels and dresses that seemed more couture than ready-to-wear. Read on to see more photos plus a live video of the show. Louis Vuitton's Spring 2012 Handbags. What do you think of Louis Vuitton's Spring 2012 Collection by Marc Jacobs? Leave a comment below. OMG I love all the bags. Not a fan of the dresses but the shoes and bags are amazing! It's like a child's barbie play house but life size.